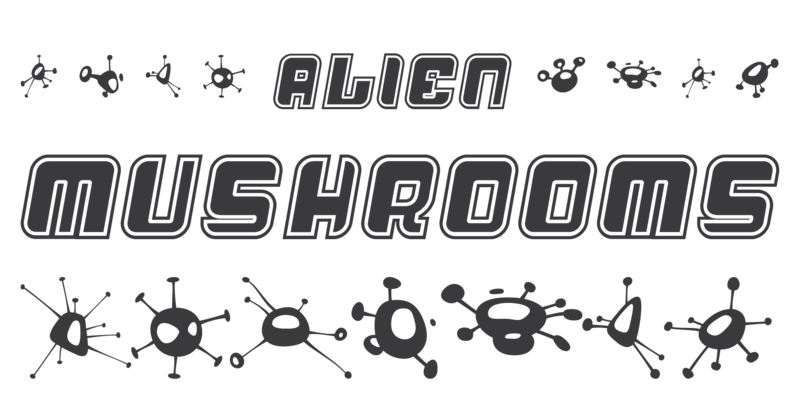 Alien Mushrooms - Chank Fonts! You can do two things with this font: you can design a shower curtain, and you can give your UFO a personal touch. 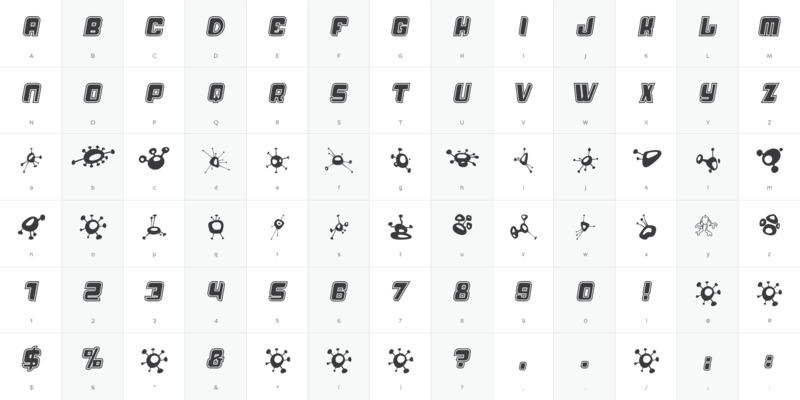 Now you have enough combinations of dingbats for up to 113 different UFOs.